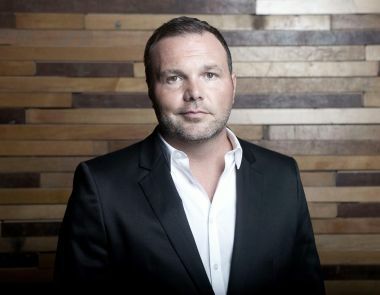 "Pastor Mark Driscoll is the founding pastor of Mars Hill Church in Seattle, Washington and is one of the world's most-downloaded and quoted pastors. His audience--fans and critics alike--spans the theological and cultural left and right. He was also named one of the ""25 Most Influential Pastors of the Past 25 Years"" by Preaching magazine, and his sermons are consistently #1 on iTunes each week for Religion & Spirituality with over 15 million of downloads each year. Pastor Mark received a B.A. in Speech Communication from the Edward R. Murrow School of Communication at Washington State University, and he holds a masters degree in Exegetical Theology from Western Seminary in Portland, Oregon. He is the author and co-author of over a dozen books, including the New York Times #1 bestselling Real Marriage. In 1996, at the age of twenty-five, Pastor Mark and his wife, Grace, with the vision to make disciples of Jesus and plant churches, started a small Bible study at their home in Seattle, which at the time was the least churched city in America. Since that time, by God's grace, the church has exploded with upwards of twenty-one thousand people meeting across fourteen locations in four states (Washington, Oregon, California, and New Mexico). Mars Hill has been recognized as one of the largest, fastest-growing, innovative churches in America by Outreach magazine. Pastor Mark is the co-founder of the Acts 29 Network, which has planted over 400 churches in the US, in addition to thirteen other nations. He founded the Resurgence, which receives nearly six million visits annually and services Christian leaders through books, blogs, conferences, and classes. And he is co-founder of Churches Helping Churches with Pastor James MacDonald, which raised over $2.7 million to help rebuild churches in Haiti and empower them minister and provide aide to the Haitian community, and helped deliver $1.7 million in medical supplies to the devastated country. With a skillful mix of bold presentation, clear biblical teaching, and compassion for those who are hurting the most--in particular, women who are victims of sexual and physical abuse and assault--Driscoll has taken biblical Christianity into cultural corners previously unexplored by evangelicals. In the same year that he spoke at a Gospel Coalition conference with notable contemporary theologians like John Piper and Tim Keller, he also discussed biblical sexuality as a guest on Loveline with Dr. Drew, was featured on Nightline, and preached for Rick Warren at Saddleback Community Church."